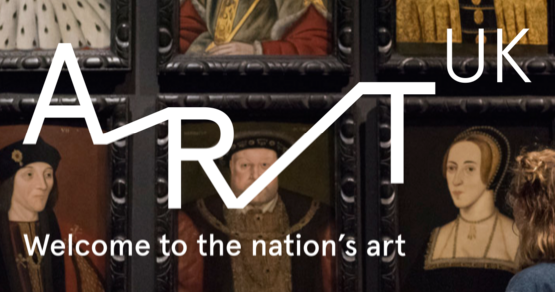 Launching today, February 24, 2016 Art UK (http://www.artuk.org) is the next step in the realisation of an ambitious vision – to create universal access through an online platform to the UK’s public art collection. A collaboration involving 3,000+ public collections, this revolutionary project, unique in the world in its scale and ambition, puts the UK at the forefront of digital innovation. Art UK will give audiences at home and abroad unprecedented access to the UK’s public art collection, much of which is not normally on view. For students, teachers, tourists and anyone interested in art or its subject matter, Art UK is a truly immersive online experience. Art UK launches with the nation’s entire collection of publicly-owned oil paintings – over 200,000 in number. From this summer, watercolours, drawings and artworks in other media, already digitised, will be progressively added by Art UK Partner Collections. In 2017, Art UK will start work on photographing the nation’s collection of sculpture from the last thousand years, some of it in 3D. The Heritage Lottery Fund has already earmarked £2.8m towards this. Art UK is now raising further funds. Art UK gives the British public unprecedented access to the art they own. It encourages audiences, young and old, to look at art in pursuit of their interests using thousands of tags created by members of the public. Guest contributors from all walks of life will help Art UK tell the stories behind artworks. 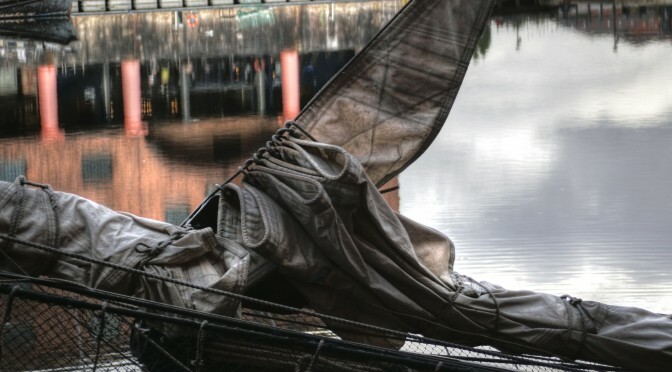 The BBC will curate content from Art UK on bbc.co.uk and encourage its audiences to find out more by visiting Art UK. On Art UK anyone can become a curator, create online exhibitions and share the art they discover with friends and colleagues across social media. They are also asked to turn Art Detective and help collections identify missing artist attributions and sitter names. There have already been exciting discoveries in this area including previously unknown paintings by Van Dyckand Gainsborough. 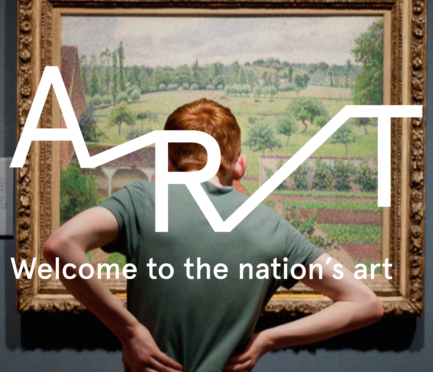 The first website with the aim of reflecting an entire nation’s collection of art, Art UK offers extensive links and pathways to learn more about the nation’s art. Links to Oxford University Press’s suite of online products give UK public library cardholders free access to 55,000 biographies in the Oxford Dictionary of National Biography, as well as content from Grove Art Online. 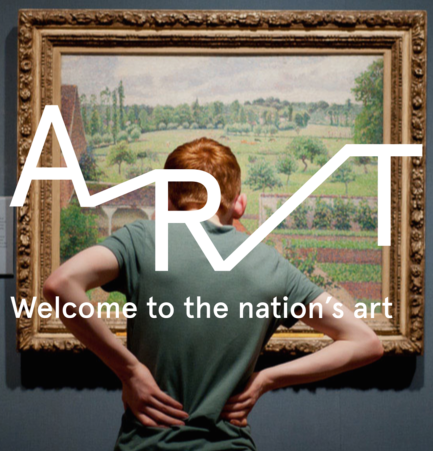 Art UK is also a resource for tourists with an interest in art, who can plan visits to destinations around the UK, building itineraries around particular artists or collections. Hundreds of Partner Collection events and exhibition listings are provided by Culture 24. An early version of the site was published on bbc.co.uk under the name ‘Your Paintings’. Over almost five years the website gained a regular audience of some 300,000 visitors per month. Building on the success of Your Paintings and responding to the needs of audiences and collections, Art UK has been developed by the Public CatalogueFoundation – now also renamed Art UK. The Art UK platform will be operated on behalf of 3,000+ UK public collections allowing them all to reap the benefits of scale and technology. Joining the public collections online are a number of important private collections, including, for example, all the Oxford Colleges. Other important private collections will be invited to join. The Art UK Shop will open this summer to generate much-needed income for the Partner Collections through the sales of prints and other merchandise. To date over 500 collections have signed up to ART UK as Partner Collections, paying a subscription and benefitting from the promotion and income-generating potential opened up by the site. Art UK represents a collaboration involving thousands of participating collections, the BBC, funders, universities and other institutions. Notable among these are Culture 24, Oxford University Press, the Public Monuments and Sculpture Association, Glasgow University, the Visual Geometry Group at Oxford University and the Citizens Science Alliance based at the Astrophysics Department, University of Oxford. The cost of building the Art UK website was principally borne by Arts Council England with additional funding from the Scottish Government and a private charitable trust. The Partner Collections and corporate and individual Benefactors will play a key role alongside other funders and commercial income in ensuring Art UK is sustainable. The content of the Art UK website is the result of many years of digitisation undertaken by the Public Catalogue Foundation mostly with private funding. The Art UK website was built by the London-based agency Keepthinking. “Being part of initiatives such as Art UK is vitally important for Amgueddfa Cymru – National Museum Wales. We exist to share Wales’ national collections, including our world-class art collection, with new and existing audiences to encourage a greater awareness of, and interest in Wales’culture and heritage. “The Wellcome Trust is delighted to support Art UK by funding the partnership fees all UK medical collections for 3 years. We would like to celebrate the quality and diversity of these collections, many of which had not been catalogued before the Public Catalogue Foundation started its work. Enabling over 250 UK hospitals, medical archives and clinics the opportunity to join Art UK as a partner will allow them to continue to share their collections with the widest possible audience, and create new opportunities for partnership and projects which promote public engagement with medical heritage”.